Top 10 products against stress! Today we are talking about top 10 products against stress. The stress makes us chew chips, cookies and candy to buy, which will certainly increase the body fat. But there are products that resist stress and improves mood without harm to your figure! Sorry for yourself. Eat pie / cake / candy to lift your mood. And after already regret it. We live in an age when stressful situations around us everywhere, marking time around, seizing stress harmful food, and falling into depression because of self-flagellation and a weak willpower. We have prepared for you a list of products that will help reduce stress levels without increasing your weight and health damage. Raspberries, strawberries, blackberries, and blueberries — is the best, full of fiber and vitamins, dessert and snack low in calories. Antioxidants in the berries help to prevent aging caused by chronic stress. Berries restrain sharp fluctuations in blood sugar, reducing sugar cravings in between meals. Unlike other sweeter fruits they cause fermentation in the stomach and vice versa — normalize digestion. A decoction of chamomile not only well reduces the stress of the nervous system before going to sleep but also contains hippuric acid — a substance that reduces the inflammation that occurs during periods of stress. If you drink chamomile tea after a meal, you can reduce colic, eliminate constipation — symptoms that accompany irritable bowel syndrome in people with stress. Dark chocolate with cocoa beans 70% and more — helps fight stress by producing beta-endorphins. Chocolate is useful sweetness that suppresses cravings for harmful foods (candy, chips, sausage). Phenylethylamine substance composed of chocolate causes a feeling of euphoria. Nuts balance blood sugar levels, reduces sugar cravings, regulate appetite and stimulate metabolism. The stress certain substances are consumed faster. Nuts contain magnesium, zinc, B vitamins and omega-3, which are needed tired of chronic overstrain the body. Vegetable fat nuts are useful as opposed to fat of sausages and pork. Celery contains tryptophan, which helps the body produce serotonin, a substance required to maintain a good mood and a good night’s sleep. A few stalks of celery with peanut butter as a snack before bed will help to fall asleep and not wake up because of hunger. 1 cup of tea with licorice root can help you relieve stress. Licorice modulates the level of the stress hormone — cortisol. On the one hand, it supports the body by the adrenal hypofunction, i.e. when cortisol is too small, and on the other — it helps reduce and normalize the quantity in excess. Oily fish such as salmon, sardines, and trout, contain omega-3, B vitamins, magnesium and zinc — a substance needed by the body in stressful situations. 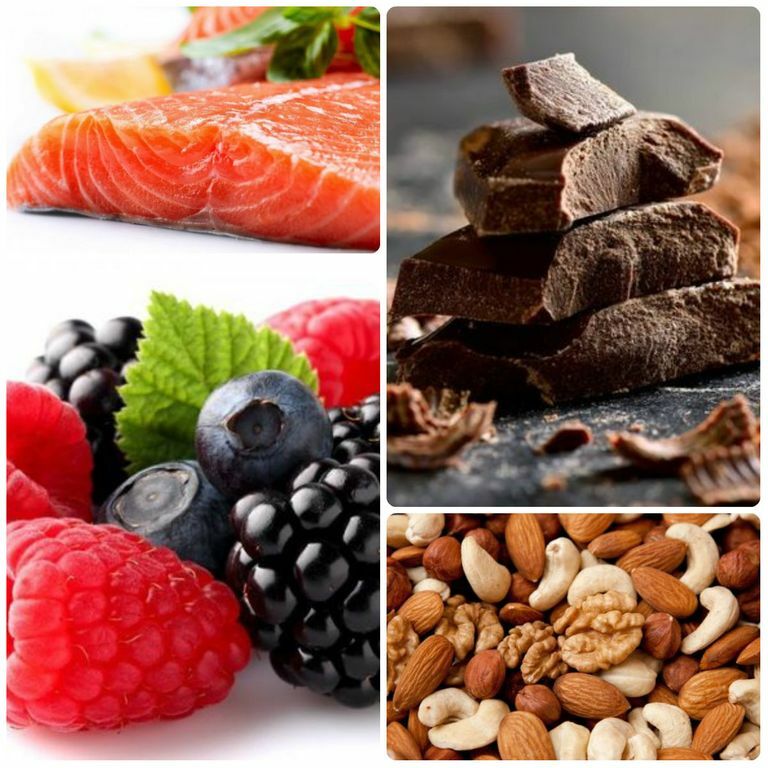 Fatty acids improve mood, reduce inflammation and reduce sugar cravings. Garlic has powerful antibacterial, antiviral and antifungal properties that help to keep the immune system in times of stress. It also reduces the inflammation of the joints, which increases the stress. Two cloves in the vegetable stew with lemon juice, oregano, and olive oil will give a bouquet of taste experiences and relieve stress. The nourishing representative of cruciferous vegetables contain glucosinolates, which relieve symptoms of stress, premenstrual syndrome, toxins, excess cortisol and adrenaline from the blood. Cabbage leaves can be used in any way, but in a wet — they improve the function of the thyroid gland, which violated under stress. Stress gradually destroys the cardiovascular system is a source of hypertension and heart failure. Olive oil is rich in anti-inflammatory substances, and decreases the level of inflammation in cells and protects vessels. Remember, heat olive oil in a frying pan destroys healthy fats. You Might Also LikeThe main causes of edemaSymptoms and treatment of female cystitisSkin rejuvenation by modern medicineHow does the body work during night hours?How is restore liver function after antibiotics?